Happy Sunday, y'all! It's been a very productive day here, which means less of the reading and more of the house cleaning. Urrgh! I also managed to fit in a lovely Mexican food lunch with my mom and some book shopping, and I'm now kicked back in the AC watching a Masterpiece Classic adaptation of Great Expectations. 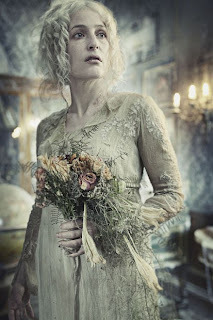 That's right, the one with Gillian Anderson as Miss Havisham. Y'all know I'm a total Great Expectations nerd, and I've been salivating over this adaptation forever. But I couldn't find anywhere to watch it, UNTIL I noticed that it's on Netflix!!! Stream away, baby, stream away! 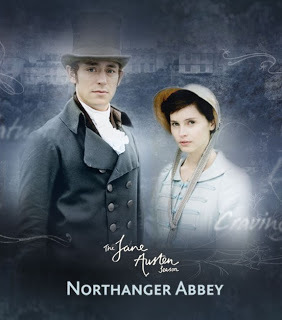 I also finished watching/listening to Masterpiece Theater's Northanger Abbey starring Felicity Jones, JJ Feild, and Carey Mulligan! I really liked this one, and it may be one of my fave Jane Austen adaptations. It's too stinkin' hot in Texas to do ANYTHING outside, but I have to say, I'm more than pleased to stay indoors with my literary viewing. Have you watched any great adaptations lately? Which is your fave? Colin Firth as Mr. Darcy or something more contemporary?